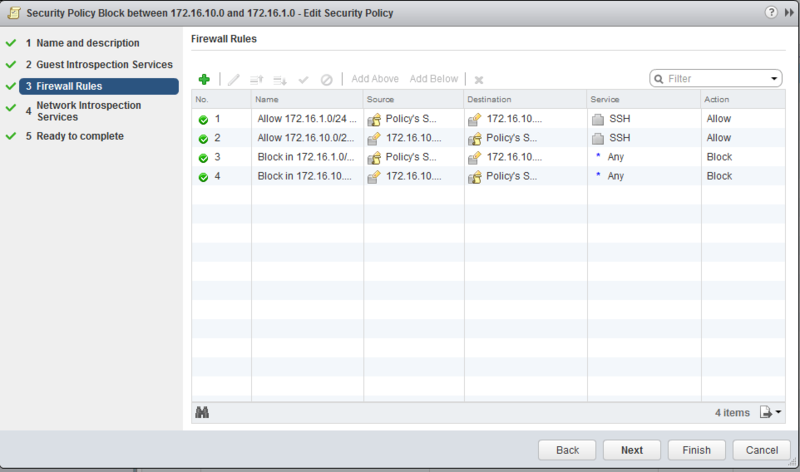 The first thing everyone does with NSX is try to create firewall rules between IP addresses. I consider this a mistake because the DFW can key off a lot better markers than IP addresses. Either way at some point you will want to use IP addresses in your rules. 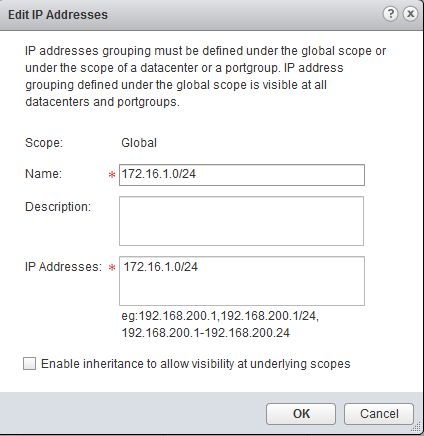 This post will describe how to setup firewall rules between IP addresses. Routing is setup between the hosts so they can connect to each other. I would like to block all traffic except ssh between these subnets. We are going to assume that both of these networks exist in NSX. 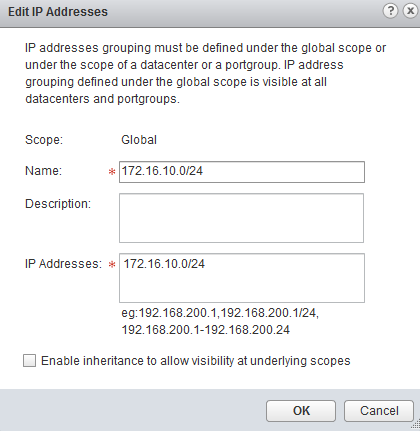 First we have to set up an IP set in NSX Manager. This is suprisingly a set of IP addresses. Security Groups – these are groups of machines / constructs they can include IP sets, MAC sets, dynamic name based wild card information. They can contain whole datacenters or a single virtual machine. It can be very dynamic with boolean conditions. Security Policies – These are groups of firewall rules and introspection services. These are policies that are applied to security groups. 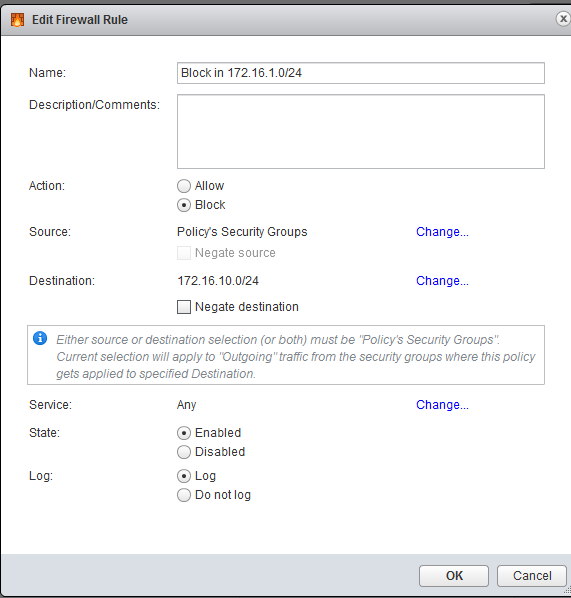 Each of the firewall policies assume that they are assigned to one or more security groups. So your source or destination needs to be the policies assigned security group. The opposite side (source/destination) needs to either be a security group or any. Now your rules should work. You can test with ping and SSH. Using the same dialog’s you can create option 2 or 3. The same rules you use for firewalls on physical entities need to apply to DFW. You need to think before you create or you will be in firewall spawl.